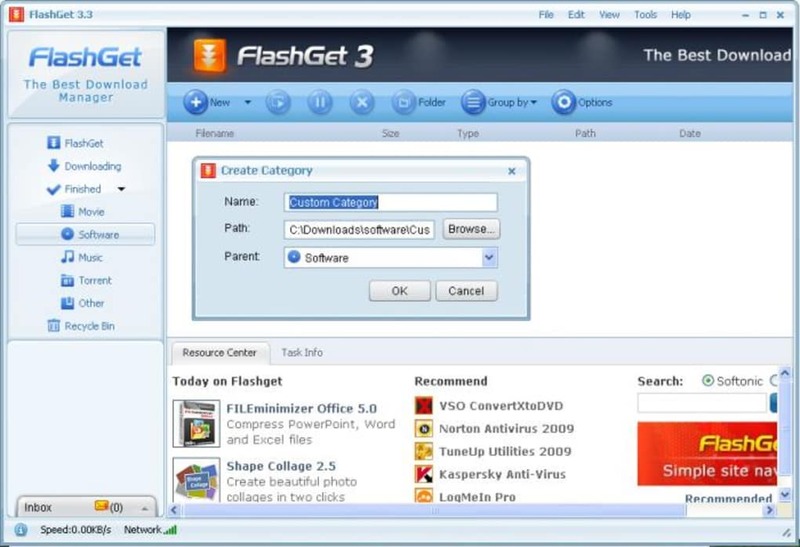 FlashGet is definitely going to make your life much easier if you download as much software as we do! A few years ago these managers were a basic need for all download junkies. Internet connections were not as fast and reliable as they are now, so you needed a tool that could not only improve your speed but also allow you to pause, restart and resume downloads. FlashGet does all of that, and even more. It takes care of all your downloads and automates the process from beginning to end. It lets you download multiple files simultaneously and organize them into categories - movies, music, software and even customizable categories. Plus, now it also works with BitTorrent and eMule files. 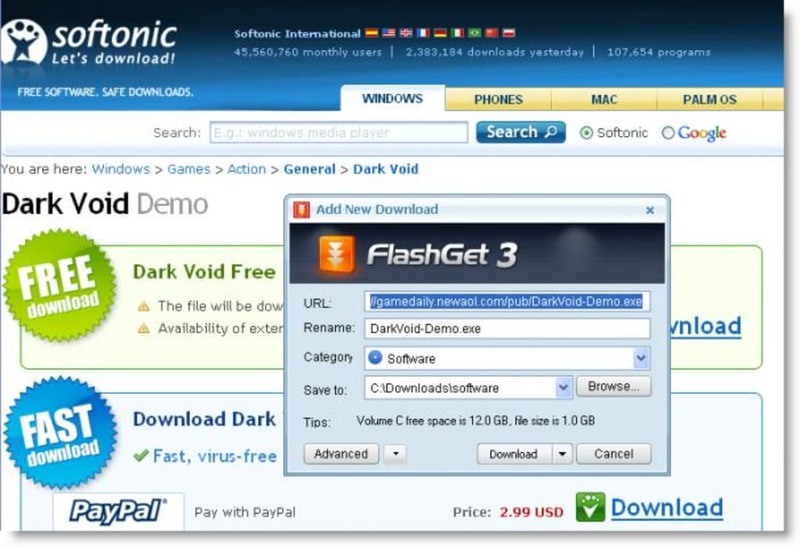 FlashGet can be set to monitor both the clipboard and your web browser in search of downloadable content. Bear in mind though that if you use Firefox you'll have to download a separate plug-in. The great thing about this monitoring feature is that you can specify the file types FlashGet should be looking for. 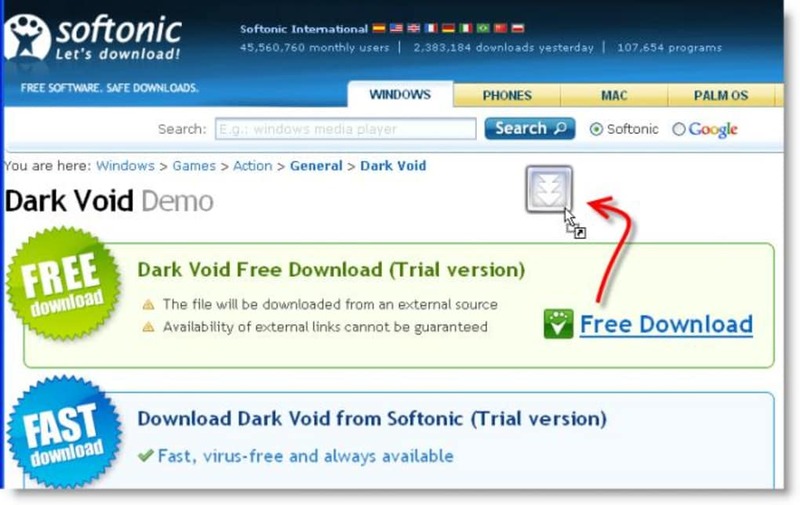 And those who prefer not to use the download monitor can use the floating window instead – a transparent icon where you can start your downloads by dragging and dropping links onto it. During our tests FlashGet reached excellent download speeds. Although having a broadband connection – like the one we use in Softonic – surely helps, I'm sure FlashGet will improve the download speed of any domestic broadband network connection. 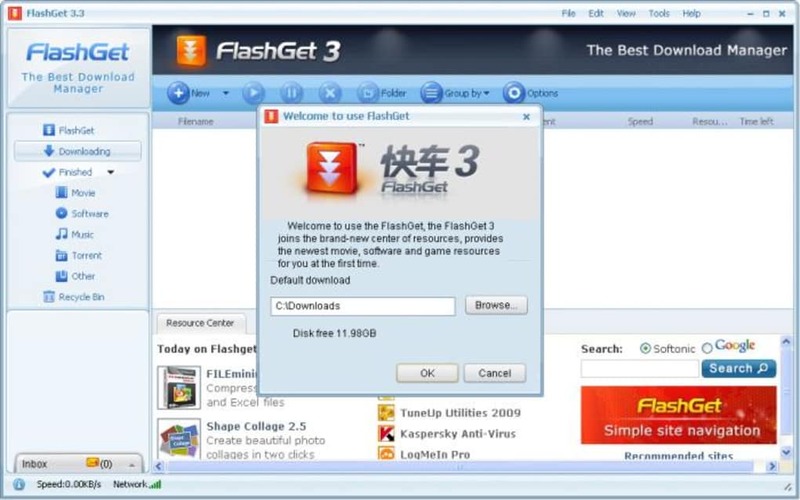 FlashGet is a feature-rich manager for download addicts that automates the whole downloading process and makes it faster and easier. Slow! Need improvement.. Downloading speed is very slow. It downloads at a speed of 20kbps while youtube downloader proYTD downloads at the speed of 120kbps (both were not downloading simultaneously). Worth not installed this version. May be the developers is improving it in the later versions. Hope for better. But this version. Wide range of downloading utility. Resumes download when networks is detected again. Do not install. Recommend you to not to install this software, i installed it and it caused problems in the Boot system of my Windows XP Computer. how to downlode. hello every body. I want to down-lode torrent file from flash get. what is the process and method.I am unknown about this.i just install the software how to use. please help me.